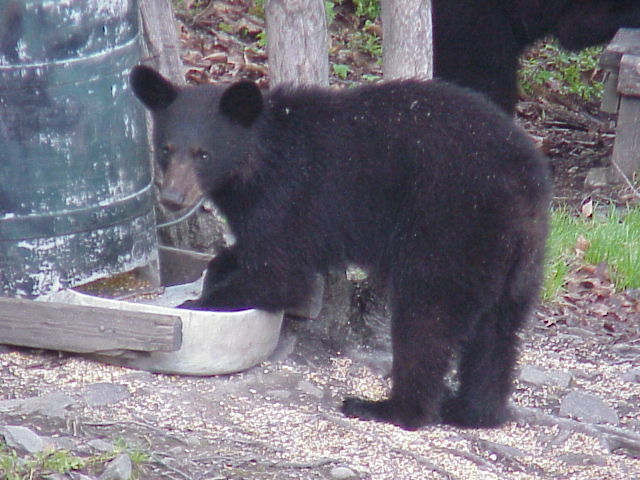 Here are some pictures of another bear that comes around she has cubs too but they are very small and she keeps them at a distance. 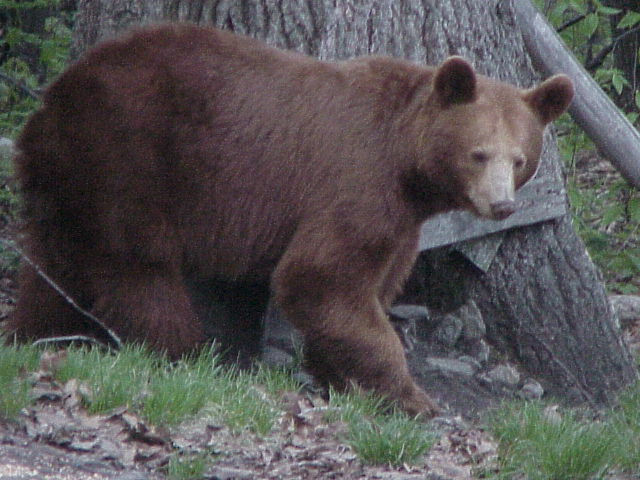 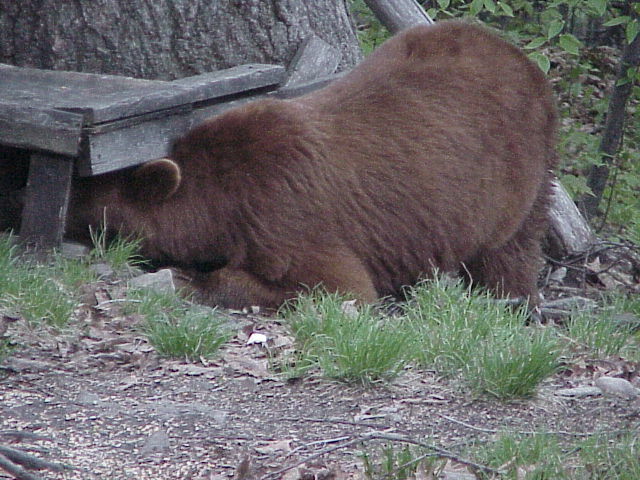 Here is a cinnamon colored black bear some food fell thru cracks in feeder she must really be hungry. 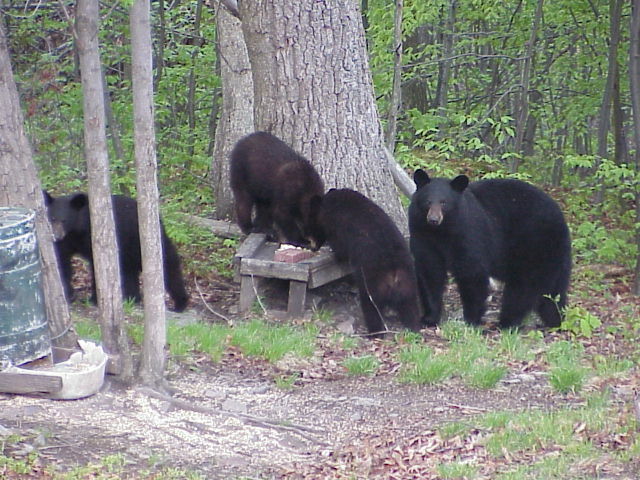 Here is the black bear family getting a bite to eat.